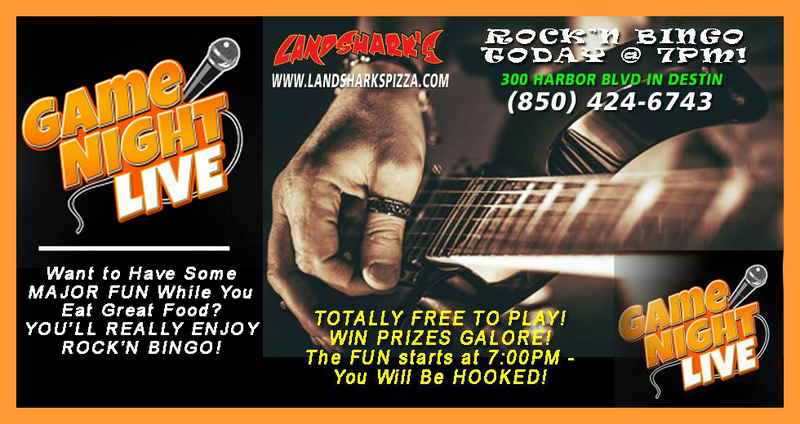 / Best Taco in Destin FL / LANDSHARK’S TACO TUESDAY IN DESTIN, FL – GREAT WEATHER, GREAT FOOD, & ROCK’N BINGO! 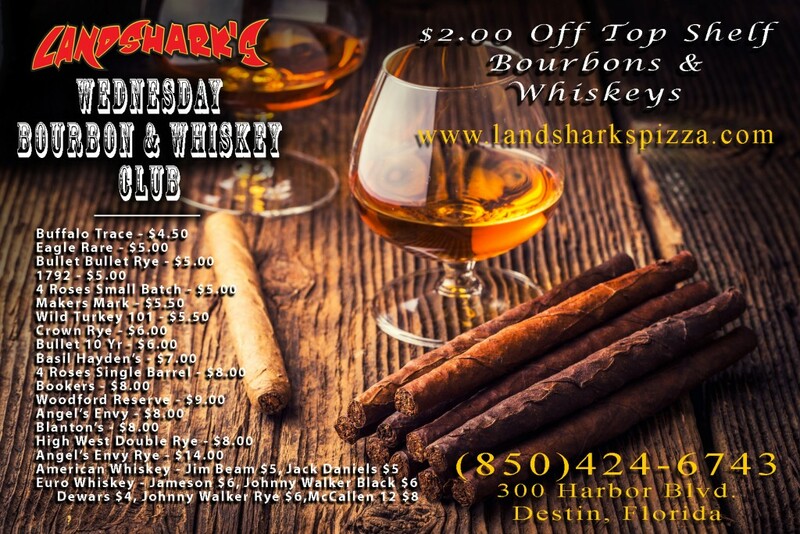 LANDSHARK’S TACO TUESDAY IN DESTIN, FL – GREAT WEATHER, GREAT FOOD, & ROCK’N BINGO! 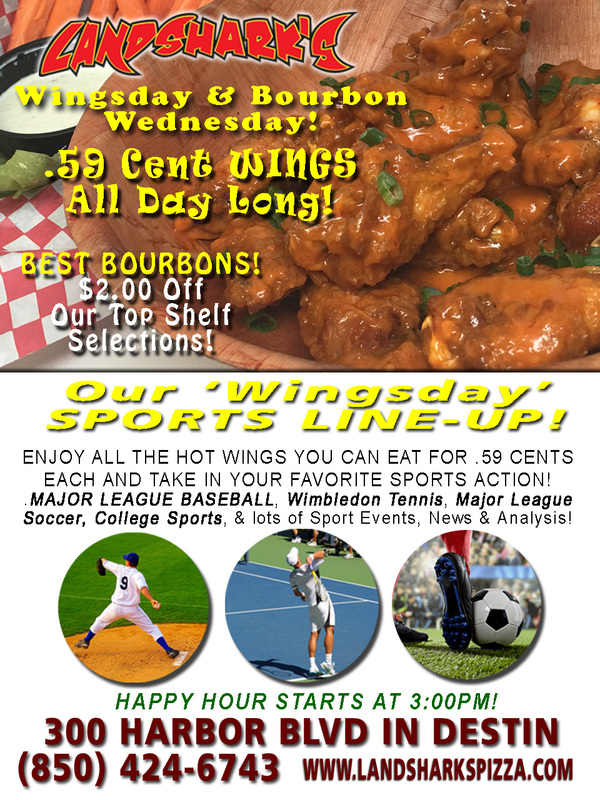 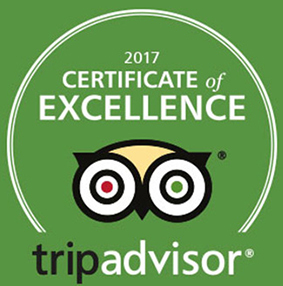 DESTIN, FLORIDA TACOS, CORONAS, MARGARITAS, AND SUNSHINE – HARD AND SOFT CUSTOM-BUILT YOUR WAY, GET FULL FOR LESS! 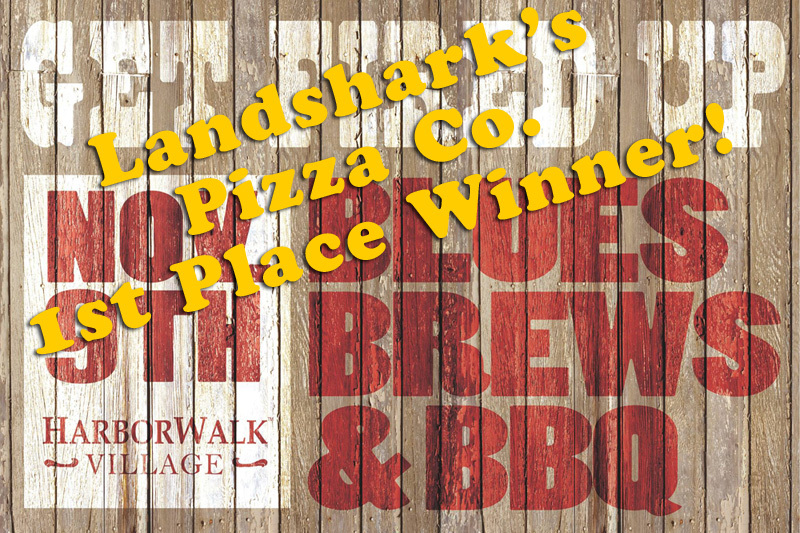 Tuesday at Landshark’s in Destin, FL means a feast that’s Fresh, Hot, Delicious, Filling – these are the tacos you’ve been looking for! 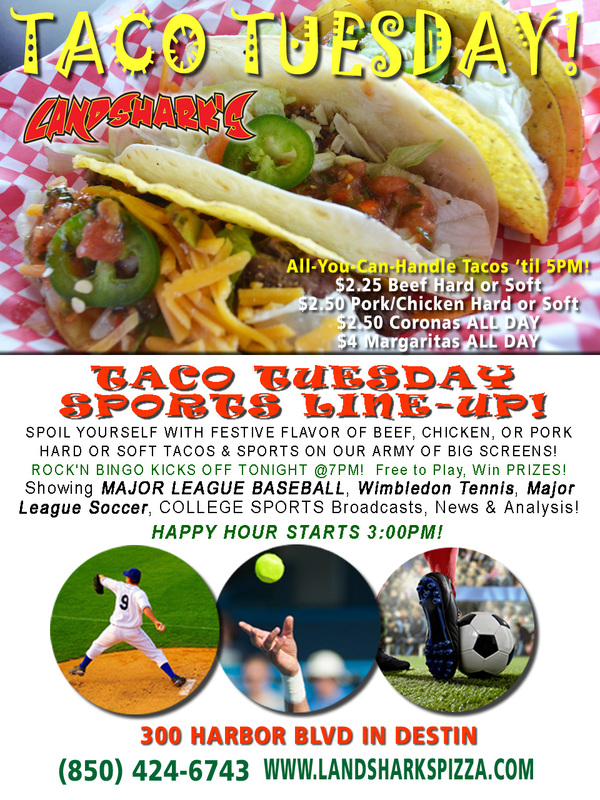 Tacos served ’til 5PM & $2.50 CORONAS & $4.00 HOUSE MARGARITAS ALL DAY LONG! 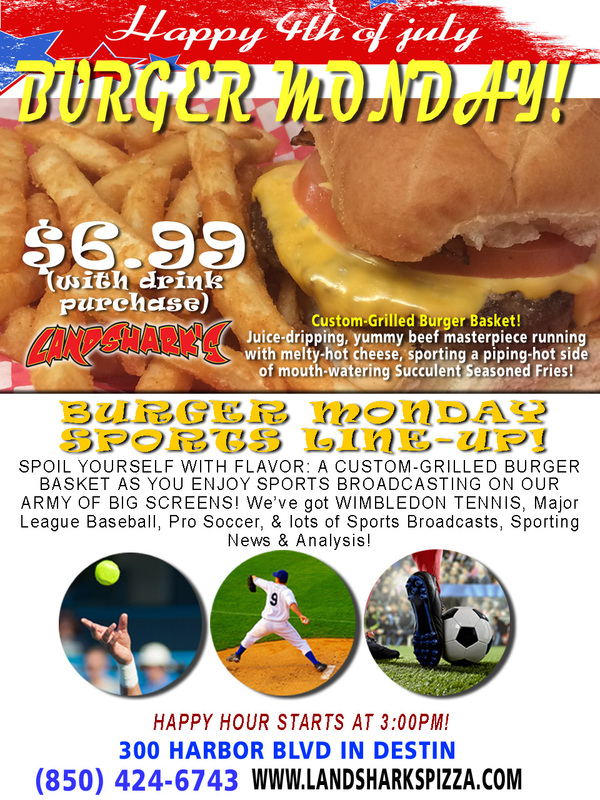 Previous Post: « Destin FL Burger Monday $6.99 Burger | $10 Craft Beer Tasting 6-8PM at Landshark’s!